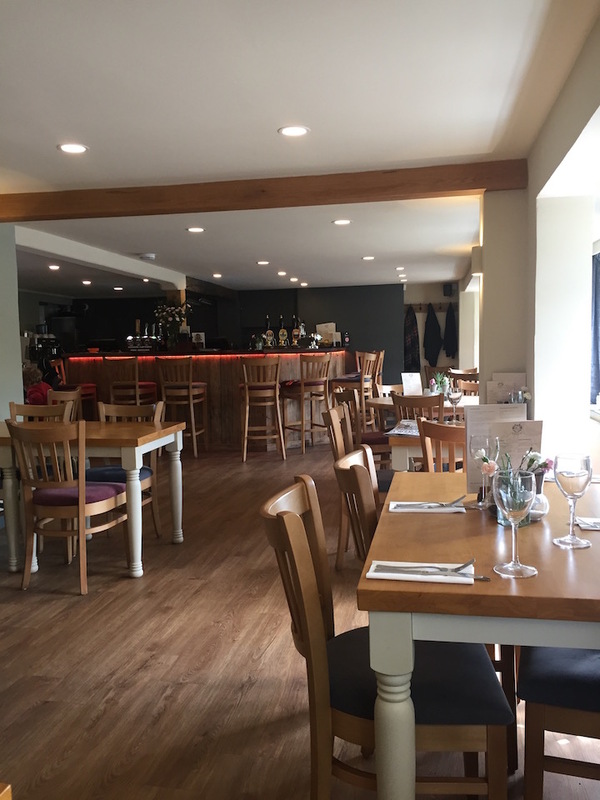 The newly refurbished The Crown in Chilterns hamlet of Radnage has created a stir with its keenly priced gastro offering. 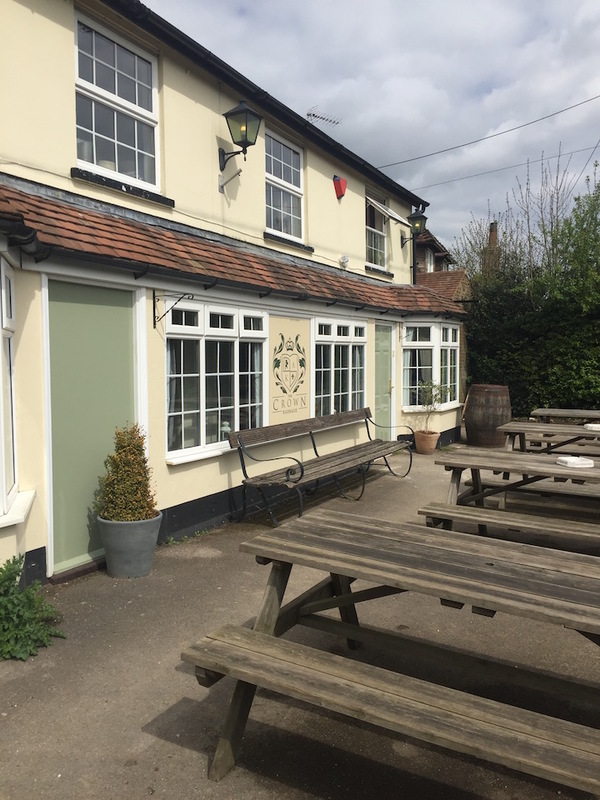 Two miles north of Stokenchurch and six miles west of Wycombe and bang in the Chilterns, the little hamlet of Radnage has just the one pub, a cream-painted 19th century building on the main thoroughfare. The Crown is big with walkers and cyclists, and if you fancy a pre or post-prandial stroll or ride, the bar staff can provide routes from between one and 10 miles. It’s unassuming from the outside – and, to be honest, could do with a smattering of hanging baskets to add a pop of colour and the car park potholes filling in – but head inside and you can see the fruits of an extensive refurbishment. Until six weeks ago it was all ‘swirly carpets and stinky toilets’ according to new co-owner Steve Smith. Now it’s bright, breezy and welcoming. There’s no zoning here – diners and drinkers are thrown in together in one long room, but the mix of locals dropping in for their daily pint and small gaggles of ladies who lunch seemed to muddle along together just fine. The design is pleasant and functional rather than something you’d drool over in Wallpaper* mag, with its dog/cyclist/child-friendly wood-look laminate flooring and no-nonsense ceiling spotlights – nothing to scare off the locals, nothing to cause a nose wrinkle amongst those with more modern tastes. Appealing to both ends of the spectrum then, the pub opens from 9am for coffee and a weddings director has just appointed to make the most of the 2 acres of garden at the back. The big draw here is the food – for a low-key, bijou country pub, it punches above its weight, with head chef Chris Wellington previously working under Andre Garrett at Cliveden House and at The Royal Oak, Marlow. He’s clearly a perfectionist – the ladies next to us had to wait a while for their twice baked cheese soufflés because he redid them after the first effort wasn’t quite right. It made for slightly slow service, though I’ll take a perfectionist chef over a sloppy one any day. When it arrived, our meal was pretty darn perfect. 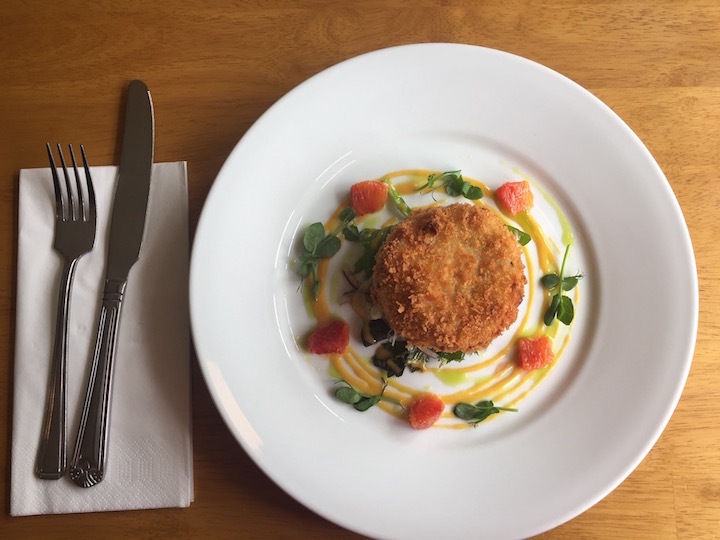 To start, I had a fishcake with shaved fennel and orange mayo – doesn’t it look pretty? In fact, everything we ate was beautifully presented, without being overly fiddled with or unnecessarily jazzed up with random ingredients. It all tasted as good as it looked too. 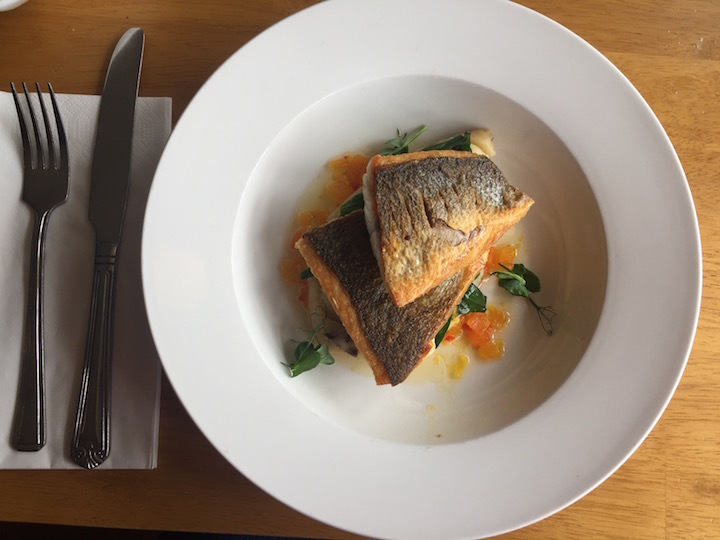 My sea bass fillet with kalamata olive mash, spinach and sauce vierge main was impeccable, ditto my friend Rebekah’s half Banham chicken with romesco sauce, purple sprouting broccoli and almonds. We liked the imaginative details – I wouldn’t think to put olives in mash, but it worked, ditto the almonds on the chicken. If you’re feeling less la-di-da, you can keep it real with classic fare such as burgers, fish and chips, sausages and hand-rolled and clay oven-baked pizzas. 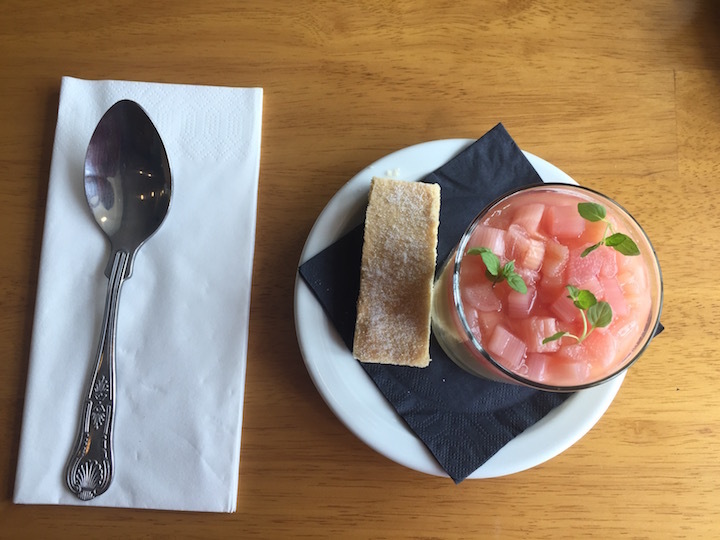 Puddings both looked lovely – check out Rebekah’s pretty pink rhubarb and white chocolate posset. 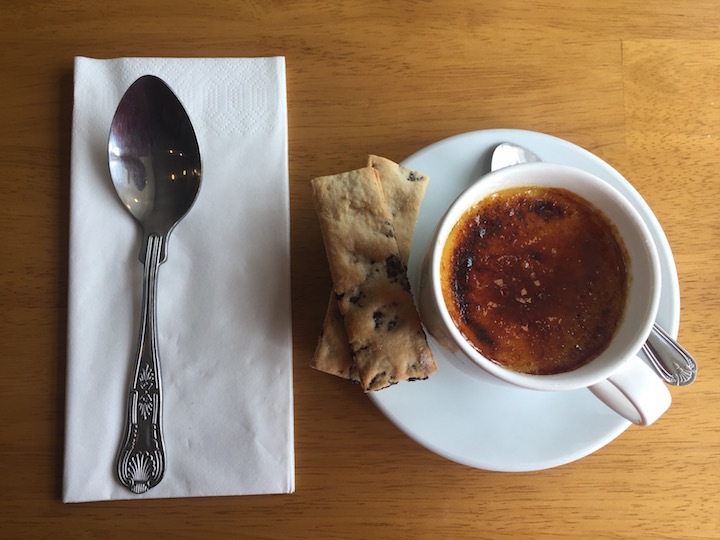 And my Earl Grey crème brûlée, served in a tea cup with a homemade garibaldi biscuit was divine. A word on the drinks: it’s fun – and unusual for a country pub – to have a considered cocktail menu (which also includes mocktails if you’re off the grog). I couldn’t quite face ordering a Pornstar Martini at noon on a weekday but a thumbs up emoji for creativity and offering something beyond the usual glass of vino or G&T, or sparkling water for the designated driver. Yes – just look at that whopping garden out the back. The nippers will have to make their own fun though – there’s no play equipment as yet. If you have particularly tantrum-y toddlers, eating inside might make you nervous – with the dining area and bar in an open-plan, relatively small space, there are no quiet corners nor nooks and crannies to hide away, should the worst happen. The children’s menu is short but sweet, with chicken breast, sausages, tagliatelle and pizza mains, all £6 each. This is MAMIL country, make no mistake, with hordes of lycra-clad types whizzing around these country lanes, taking in the glorious views. Steve is a keen cyclist himself, hence the pub’s Velo Café on weekend mornings that attracts up to 100 cyclists from local clubs. There’s CCTV covering the bike racks, and protein bars and hydration gels available alongside the coffee and pastries. Bradley Wiggins holds a puncture clinic for beginners on the 1st Saturday of each month (well, he should). 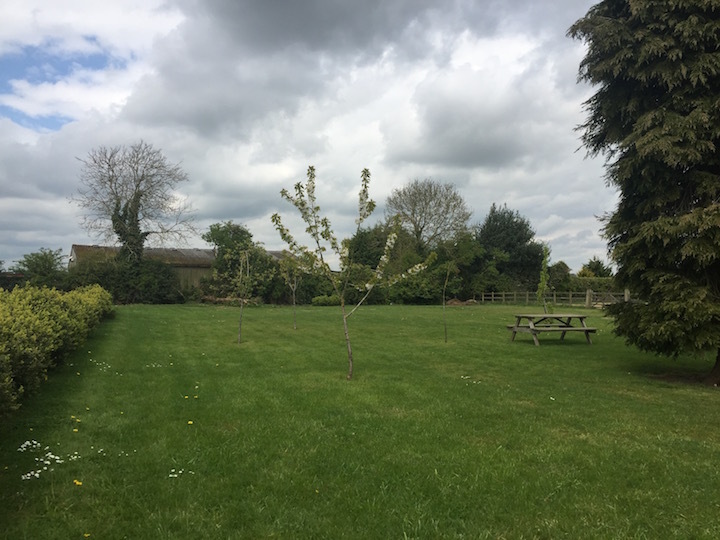 If you’re travelling from afar, there are four B&B rooms in an outhouse and also a campsite on the adjacent farm, with campers welcome at the pub for breakfast. Dog walkers ,and indeed canine-free walkers, are very much encouraged too – you can park and walk. 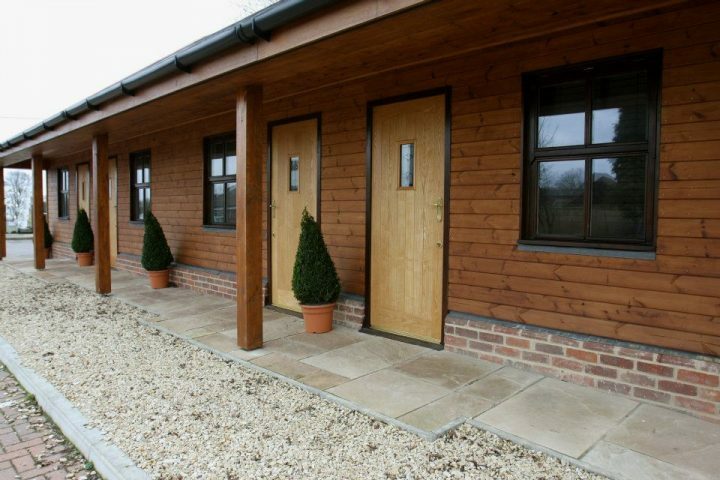 While there’s not much to Radnage itself, The Crown is an ideal base for exploring the lovely surrounding countryside. Good for: a cut-above pub lunch with friends or family. A weekend afternoon pint in the garden. A cycling/walking refreshment stop. 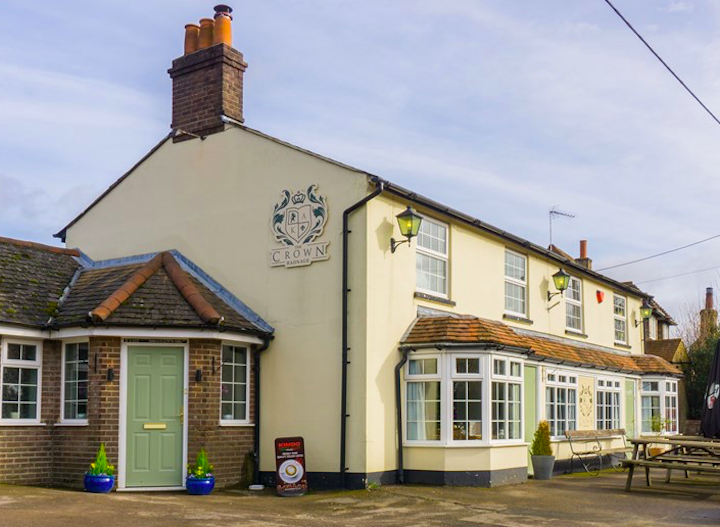 Not for: Design trendies who are obsessed with Instagrammable interiors – you’ll be better served by the flashier Mash Inn in nearby Bennett End. And anyone without four/two wheels – it’s a very rural spot. The damage: It’s keenly priced for cooking this good. Starters are around £7, mains £12-£14, desserts £6. The Sunday roast is £13. Which means an excellent three-course meal for £25-£30. Great place excellent staff ! I love this place, great food made with fresh local ingridients, the burger is a must have! Staff are friendly and make you feel welcome. Nearly forget to mentioned that coffee is just perfect! Looking forward to visit again.